Thousands of dollars will be spent to recreate a Braille globe first invented by a Queenslander in the 1950s. 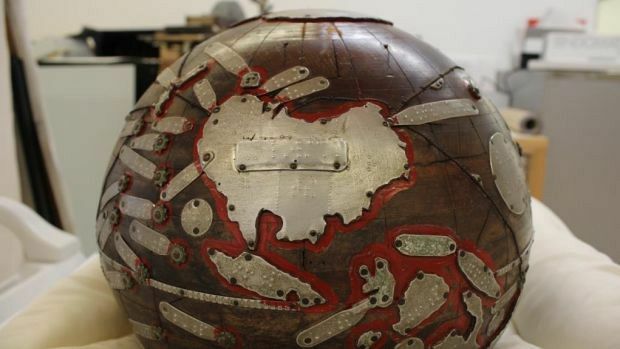 Richard Frank Tunley created the globe for vision-impaired people by installing metal plates on a wooden sphere that revealed landmasses by shape and with labels written in braille. The original globe is now very fragile but advancements in technology, including 3D printing and photogrammetry, along with a $10,000 of funding from the State Library of Queensland will allow it to be reproduced. Photogrammetry is a technique that involves taking high-fidelity photographs an object from all angles, before software stitches the photos together to make an exact rendering in a digital form. “That then gets made into plans that are used by a 3D printer and printed out on a 3D printer,” SLQ content manager director Margaret Warren said. SLQ State Librarian and CEO Vicki McDonald said the Tunley globe was a marvel of Queensland ingenuity, enterprise and skill. “The Tunley globe is a truly remarkable creation and a unique, perhaps unknown, Queensland story,” Ms McDonald said. “SLQ is immensely grateful to the donors who have put their money behind making this fascinating piece of Queensland history discoverable and accessible for a new generation of Queenslanders. The replica globe will be able to be touched and will be accompanied by detailed digital plans and learning notes available for sharing internationally. Part of the $10,000 funding will be used to support SLQ preservation staff and to conserve the original Tunley globe. The globe is understood to have been in storage at the Braille House in Annerley until recently, but it will be placed on display in a State Library of Queensland exhibition, December.